This website introduces our thoughts for the future of Japan along with the scientific activities of Miyako Island. Do you know that Miyako Island has a variety of cultures and beautiful nature? 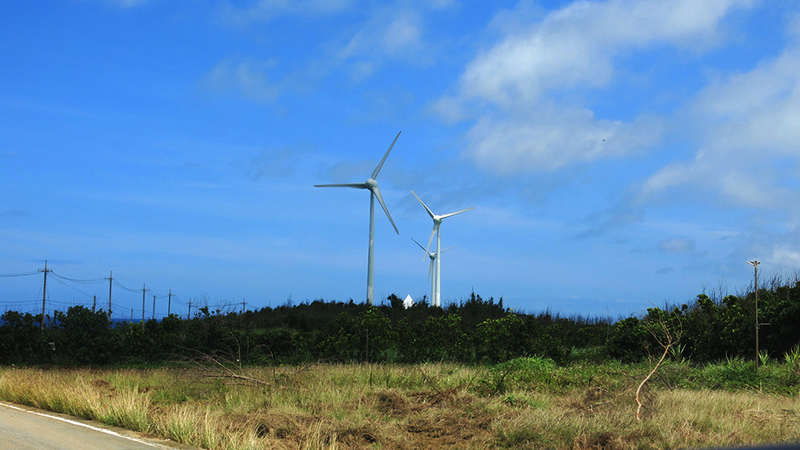 To preserve them for the future generations, Miyako Island is trying to use the power of "science". Science will protect the beautiful culture and nature! We visited Miyako Island for school trip and learned about its environment, geography, history, food and many other things! 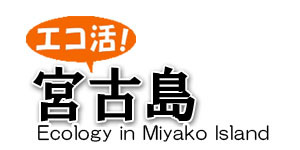 We hope that you also enjoy learning about the fusion of Miyako Island and science. Miyako Island’s wonderful ecological activities! In 2008, Miyako Island released “Declaration of Eco Island Miyakojima” which encourages the island to pursue an eco-friendly living in order to sustain the beautiful nature. However, it was not well-recognized by the people of the island, and it was upgraded to the “Declaration of Eco Island Miyakojima 2.0” in 2018. The content of the declaration has become much easier to understand for the people. 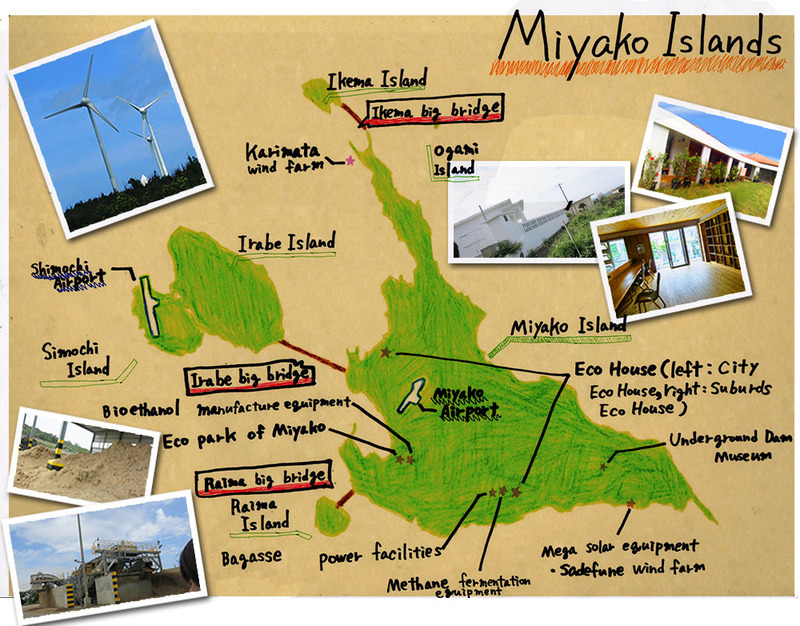 As we explain in this website, Miyako Island does many activities like ecology house, underground dam, wind power generation that uses renewable energy, and Eco Park Miyako that introduces these activities to the islanders. Miyako Island is about living with nature. That’s why the island is very active about protecting the nature such as ecological activities. An islander who took care of us during our school trip. During our school trip, we asked the people of the island about the ecological activities. 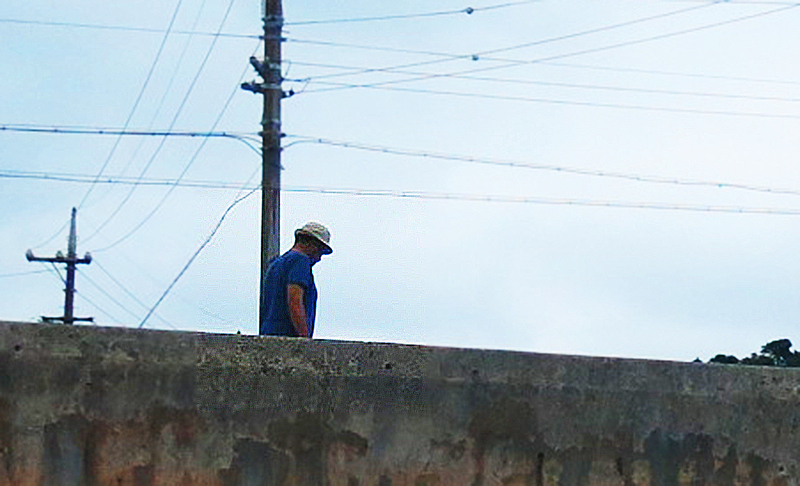 We learned that the ecological activities are realized by the people’s active participation and enthusiasm. Secondly, their enthusiasm. He told us that he proactively does what he can do including picking up trashes whenever he finds them on the beach, and trying to minimize the use of air conditioning etc. He can do these things naturally because he always pays attention to the ecological way of living. Thus the people of Miyako Island actively participate in the daily ecological activities in order to become Eco Island.